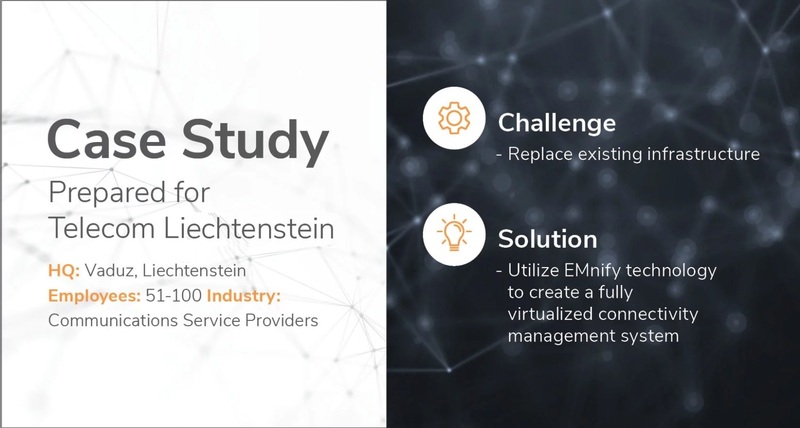 EMnify enables Telecom Liechtenstein’s competitive-edge in the IoT connectivity market. Thanks to a collaboration with EMnify, Telecom Lichtenstein now offers ground-breaking IoT technology to its clients and provides cutting-edge connectivity services. Read more on how the telecommunication company benefits from a fully virtualized cloud solution by EMnify. "With EMnify we have the control and flexibility we need to offer ground-breaking IoT technology to our clients."